How many times you brush your teeth in a day? Do you know what doctor suggest about brushing your teeth in a day? Do you have yellow teeth and brushing more to get whiten teeth? How Often One Should Brush Your Teeth in a Day? Dentist across the world recommend two minutes brush twice in a day. If you do not have time to do so then you should do brush night before bed at night. The little spit in your mouth is formed during this time which causes the cavity to increase. By brushing the teeth you can remove plaque and food pieces from the teeth which create bacteria in the teeth. Such diet which has high sugar, you should clean your teeth after eating them because bacteria leaves acid on tooth enamel. When this happens the teeth begin to rot. If the plaque is not removed it will strength its grip on the teeth and teeth will never be purged. 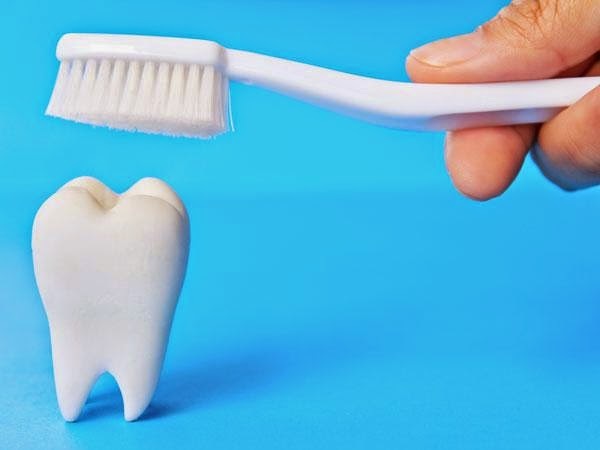 If you want to know how many times you need to brush then it depends directly what foods you have eaten that day. If you eat acidic food in such day then you should not do brush for at least 30 minutes. These acids make our tooth enamel vulnerable and if you do brush then enamel immediately remove from it and you feel warm-cold on teeth. Many people also say that after eating or drinking sugary drinks you can wash your teeth only with water. If you have habit of doing brush after every meal then you can clean your teeth with the water.